In high school, I was always pretty good at science, and chemistry was my favorite class. I also generally like being around and helping people. So when the time came to pick a career I first considered becoming a Pharmacist. There was a pharmacy school in St. Louis where I was living at the time. It was a six year program that enrolled students right out of high school. I was accepted and attended there my freshman year. While I was in pharmacy school, I also worked at a corner store pharmacy. It was not my cup of tea at all. While I enjoyed my classes I decided I didn’t want to work in a pharmacy. After my freshman year I transferred to Oklahoma Christian University to pursue a degree in Biochemistry and was planning on going to medical school. About a month into my sophomore year, OC had a career night where they explained different medical career options and brought in people to discuss those medical careers. The lady that spoke on that particular night was a Physician Assistant. She explained her job to us- how she sees her own patients, writes her own prescriptions, and how PA school was only a two and half year program after college. I was hooked. I knew I wanted to be a mom one day and would love to work part-time if I could, but I still wanted to have a career. Plus, I liked the idea that you could work in almost any medical specialty and you could change specialties without additional schooling. 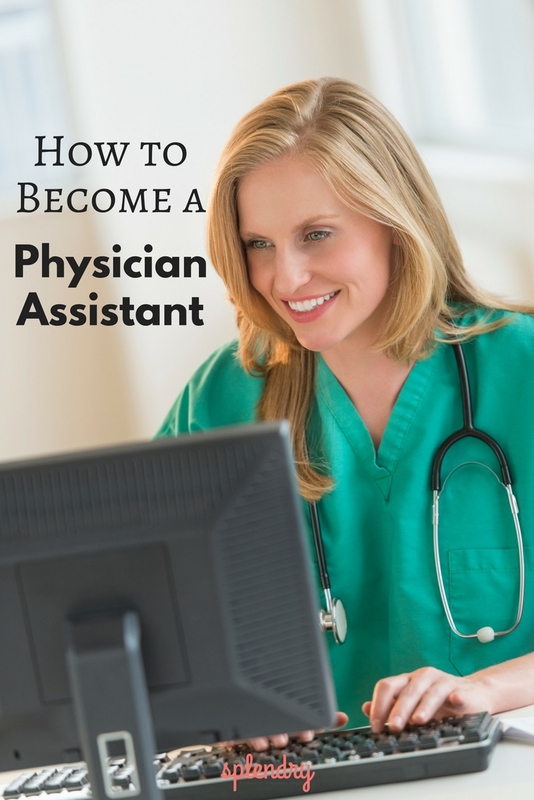 What do Physician Assistants do? PAs work in the clinic or in an emergency room setting seeing patients. They can also be in the operating room assisting surgeons or in the hospital treating patients in an in-patient setting. They are able to write prescriptions and perform procedures. Many times, especially in rural settings, they will be working independently but will be able to contact a physician by phone if needed. I worked in a rural emergency room for a couple of years and took care of those in car accidents, delivered a baby, ran codes, and placed a lot of stitches. I was able to call a doctor and ask questions if needed. Every state has slightly different rules for PAs. Who should be a Physician Assistant? You must like people. (Really!) You have to like or at least tolerate being around people. Your entire job is helping and talking to people. Blood and needles shouldn’t be an issue either. While I am not a fan of vomit I can put up with it if needed. You also need to be someone who can think fast under pressure. Whether you are working in a clinic or the emergency room, it’s normally pretty fast paced. Many (but not all), Physician Assistant programs are run through medical schools, so the requirements to apply to PA school are similar to medical school. You need a bachelor’s degree and then need to have taken all the pre-requisites which include many science related classes. Every school’s requirements are a little different. Almost all PA programs are taught in the classroom setting for the first half of the program. The second half is in different clinical rotations, so it’s very hard to have another job outside PA school. Keep that in mind when applying. Most PA programs are two to three years. After you graduate from PA school you will have your Masters Degree. You will then need to take a certifying exam and pass it before you can practice. Any type of medical experience is a plus when applying to PA school. I did many medical mission trips in my undergrad years to prepare myself. I also volunteered at free clinics when I could. If you already have a job in the medical field that’s great. Grades are also important. Obviously the higher grades the better when applying. You will also need to take the GRE for most programs. Other extra circular activities and leadership positions are helpful too. Many Physician Assistant programs also have information nights where you can meet with the current faculty. This is the best preparation because they will let you know exactly what you need to do for their PA program. Another important step is shadowing people who are already PA’s. This will let you know if you actually want to be a PA. You can follow them around in clinic while they see patients. This is a wonderful experience and a great way to make connections. If becoming a Physician Assistant is something that interests you go for it! Feel free to contact me and ask me questions or contact your local PA program. Most states have at least one or two PA programs. Those websites are a great place to start or find a local PA and ask questions! I am so happy with my career choice and would definitely do it all over again! Amanda is a part time Physician Assistant but is a full time mom/wife with a daughter, son, and a furbaby. She grew up in Tennessee and St. Louis but Oklahoma now feels like home. She is a lover of all things old and junk and loves to collect old items that she doesn't have room for. She enjoys traveling, watching and playing sports, and being with friends and family- so basically your typical extrovert!